Fort Collins Therapist: Nicholas Terry - Therapist 80525. Send A Message To Nicholas. Beginning counseling is a brave step that will help you change your current situation and find new ways to change and grow. Counseling is an important tool for achieving your goals, desires, and reaching your full potential. Nicholas Terry believes that counseling can be a powerful catalyst for change, which fosters healing, discovery, and personal growth. He offers individualized counseling specifically tailored to your unique challenges in an environment of safety and support. Nicholas is a Nationally Certified Counselor (NCE) who holds a Master’s degree in Professional Mental Health Counseling from Oregon State University - Cascades. He has reliable experience in assisting individuals, couples, adolescents, and families over a variety of issues. Nicholas specializes in assisting individuals experiencing anxiety, depression, aggression, drug and alcohol dependence issues, grief and loss, self-injury, trauma, abuse, and relationship dynamics. He works with individuals to understand their patterned experiences and belief systems in order to build awareness, create meaningful change, and live a more congruent life. Nicholas has experience working with adolescents and teens experiencing anxiety, self-esteem issues, eating disorders, depression, sports performance issues, and body image issues. Nicholas believes that change is fostered by cooperative exploration in a safe, non-judgmental environment and creates momentum for individuals to achieve a higher sense of self-worth. 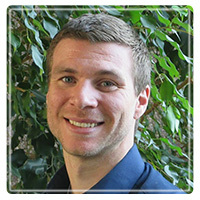 Nicholas extensively researched the neurological mechanisms of mental health issues while obtaining his Bachelor of Science from Colorado State University, working closely with two different neuroscience laboratories. In this time, he gained a fundamental appreciation for how mental health and neurology impact an individual’s experience. This appreciation fueled his desire to obtain the necessary education and experience to help individuals make wholistic and rational change. In addition to his research experience in neuroscience, Nicholas has also researched the counseling process and its various methodologies. He is a published author in the Journal for Specialists in Group Work. Through the process of obtaining the necessary credentials in order to become a Nationally Certified Counselor, Nicholas has received specific training in addiction recovery and suicide intervention. His approach to therapy incorporates key concepts and techniques from Narrative Therapy, Rational Emotive Behavior Therapy, and Attachment Theory. He is affiliated with several important counseling entities including the; American Counseling Association (ACA), American Association for Marriage and Family Counselors (IAMFC), American Mental Health Counseling Association (AMHCA), and the National Board of Certified Counselors (NBCC). Foundations Counseling offers counseling services unlike any in the area. Our highly experienced, exceptional team of counselors are continuously supported through ongoing, weekly training and mentorship with access to all the resources necessary to provide you with the best service. You can feel confident you are receiving the most effective counseling services in Northern Colorado.